Sun Devil Stadium is an outdoor football stadium on the campus of Arizona State University, in Tempe, Arizona, United States. It is home to the Arizona State Sun Devils football team of the Pac-12 Conference. The stadium's seating capacity as of 2018 is 53,599, reduced from a peak of 74,865 in 1989, and the playing surface is natural grass. 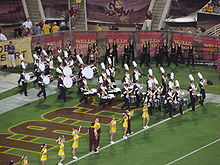 The field within the stadium was named Frank Kush Field in honor of Frank Kush, the former coach of the ASU football team in 1996. Sun Devil Stadium is undergoing a $304 million renovation that is scheduled to be completed by June 2019. It was the only major football stadium in the Phoenix metropolitan area until the construction of State Farm Stadium in Glendale in 2006. Northern Arizona University (NAU) is a public research university with its main campus in Flagstaff, Arizona. Governed by the Arizona Board of Regents and accredited by the Higher Learning Commission, the university offers 158 baccalaureate and graduate degree programs. Sparky the Sun Devil is the official mascot of Arizona State University. 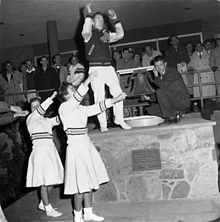 Originally the ASU athletic teams' mascot was an owl, then became a "Normal". 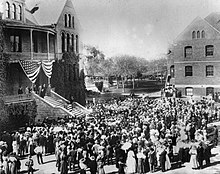 It was later changed to a bulldog in an attempt to make the school – Arizona State Teacher's College at the time – appear more in line with Yale and other universities that held a higher level of respect. The State Press, the student newspaper, ran frequent appeals during the fall of 1946, urging the Bulldog to be replaced by the new Sun Devil. 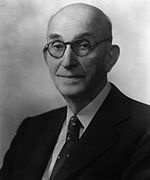 On November 8, 1946, the student body voted 819 to 196 to make the change. On November 20, as reported by the Arizona Republic, the student council made it official. 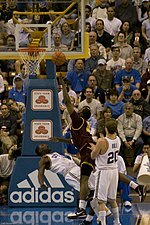 The following day, the first Arizona State team played as the Sun Devils. Two years later, alumnus and Disney illustrator Berk Anthony designed "Sparky", a devil holding a trident. Anthony is rumored to have based Sparky's facial features on that of his former boss, Walt Disney. Sparky is officially known as a "mischievous imp", with no other backstory than that. 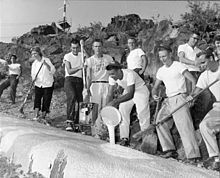 Tempe Butte is the official name of an andesite butte of volcanic origin, located partially on Arizona State University's Tempe campus in Tempe, Arizona. 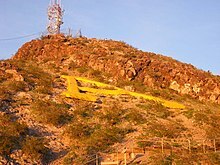 It is often referred to by locals as A Mountain, after the 60-foot-tall (18 m) gold-painted letter 'A' near the top. Another name for the area, used by the City of Tempe, is Hayden Butte. The Sandra Day O'Connor College of Law is one of the professional graduate schools at Arizona State University, located in Phoenix, Arizona. 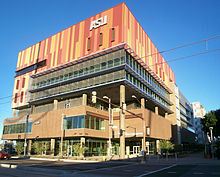 The school is currently located in the Beus Center for Law and Society on ASU's downtown Phoenix campus. 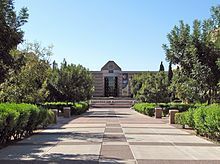 The law school was created in 1965 as the Arizona State University College of Law upon recommendation of the Arizona Board of Regents, with the first classes held in the fall of 1967. The school has held American Bar Association accreditation since 1969 and is a member of the Order of the Coif. The school is also a member of the Association of American Law Schools. In 2006, the law school was renamed in honor of retired United States Supreme Court Justice Sandra Day O'Connor. Thunderbird School of Global Management at Arizona State University is a management school located in the United States and a part of Arizona State University. The school offers bachelor's degrees, master's degrees, executive education programs, and MicroMasters in global management. 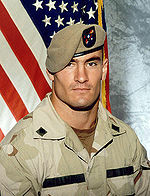 The main campus was formerly located in Glendale, Arizona, at Thunderbird Field No. 1, a former military airfield from which it derives its name. Thunderbird relocated to a new building at Arizona State University's Downtown Phoenix Campus. School of Sustainability is the first school in the United States dedicated to exploring the principles of sustainability. The school was established in 2006 at Arizona State University. The School offers the BA, BS, MA, MS, Master of Sustainability Solutions, Master of Sustainability Leadership, Executive Master of Sustainability Leadership, and PhD in Sustainability. 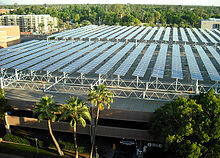 It is located within Wrigley Hall, along with the Julie Ann Wrigley Global Institute of Sustainability at the Arizona State University Tempe campus. In Fall 2016, the School of Sustainability expanded its BA and BS degree offerings to the Arizona State University Polytechnic campus located in Mesa, Arizona. The school offers graduate and undergraduate degrees in sustainability. 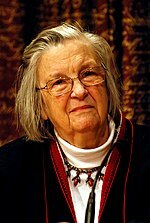 In May 2014, the School of Sustainability became part of the renamed Julie Ann Wrigley Global Institute of Sustainability.